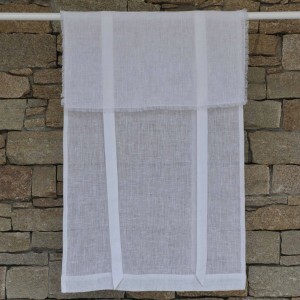 This blind clearly displays its elegance with the single watchword of discretion, expressed in the fabric: a delicate white linen gauze and its skillfully frayed surround. 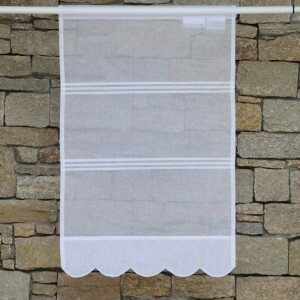 Go for the elegant look with this white organdy brise-bise featuring two discreet rows of tucked pleats. 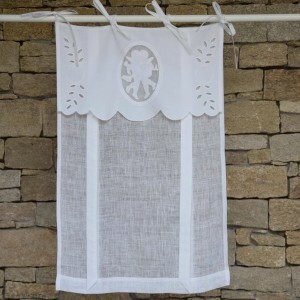 The white linen gauze Bergerac blind stands out thanks to its superb knotted lace embroidery - very delicate, meticulous work. 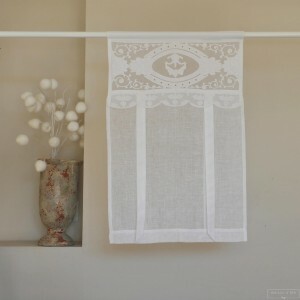 A cotton band with distinctive fine, elegant knotted lace embroidery on white linen gauze gives this Sormiou blind plenty of characterful charm. 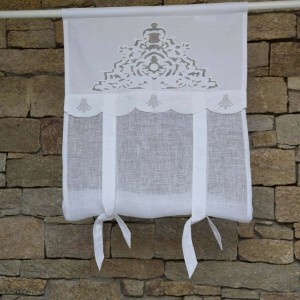 This white linen gauze blind, topped with a white cotton valance, is adorned with delicate knotted lace embroidery, two Angels, and long ribbon ties. 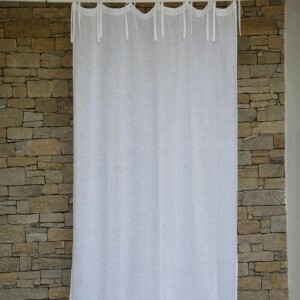 You can never tire of the soft feel of this white washed linen gauze curtain. 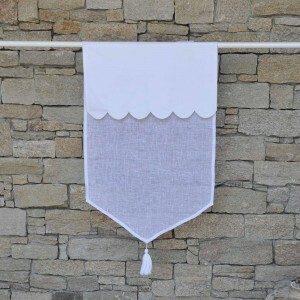 This material gives it a very special hang - soft, light and cozy. 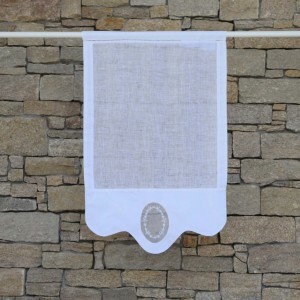 A must-have, throughout your home!